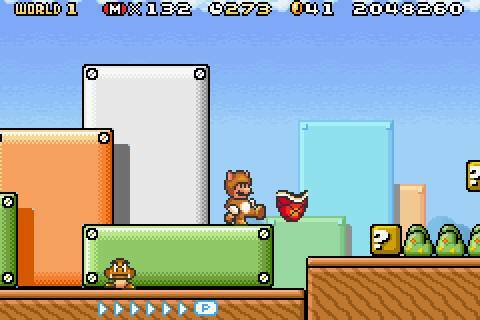 The Gameboy Advance port of the NES classic Super Mario Bros. 3, Super Mario Advance 4, launched with support for Nintendo’s eReader peripheral. You may not remember what the eReader was, particularly if you lived in Europe at the time, but it let you scan coded cards, and unlock new levels and items inside games- like a very early concept of DLC or Amiibos (or both). These eReader levels are usually the first thing to get an axe whenever the game is re-released- mostly because they aren’t accessible without an eReader, and it would be a lot of trouble to make them unlockable in another way. But in the Japanese Virtual Console release of Super Mario Bros. Advance 4, these levels will in fact be available- they will be made accessible without the eReader, though the exact specifics are not yet known. Also what is unknown for now is whether Super Mario Advance 4 will be launching for Virtual Console in the west at all, and if it does, whether those extra levels will be included. But we’ll keep you posted.